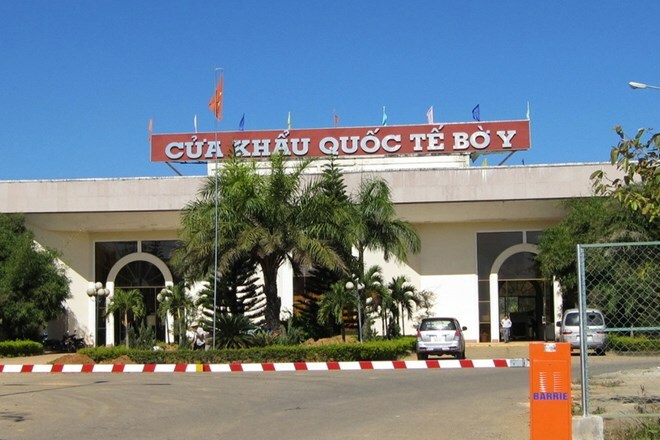 Kon Tum (VNA) – The Central Highlands province of Kon Tum and southern provinces of Laos have enjoyed fruitful partnerships in recent years through Party, State and people-to-people cooperation. Kon Tum is located in the Cambodia-Laos-Vietnam Development Triangle, with four districts and 13 communes along the shared border with Laos. Since 2012, the province has sent 1,807 officials to southern Lao localities, while receiving 1,005 officials from Attapeu, Sekong, Salavan and Champasak of Laos. Kon Tum and southern provinces of Laos have also actively implemented cooperation contents of the Development Triangle region that were given during the meeting of the Cambodia-Laos-Vietnam Development Triangle Joint Coordination Committee in Attapeu and Sekong. Meanwhile, Kon Tum has used 6.2 billion VND (272,738 USD) from its local budget to support southern Lao localities, while presenting five sets of computers to the Vietnam-Laos Friendship School in Attapeu in 2015. Currently, three Kon Tum businesses are investing in Laos with total investment of 327.8 billion VND. Kon Tum helped train 25 students from Laos in 2011-2014, and currently hosts 50 others. Also, Lao southern provinces have assisted Kon Tum in searching for and repatriating 31 sets of remains of Vietnamese soldiers who died in Laos during wartime. In the future, Kon Tum and the four Lao southern localities will strengthen their ties through implementing signed agreements and encouraging businesses of both sides to invest in each other, especially in agro-forestry production and processing.